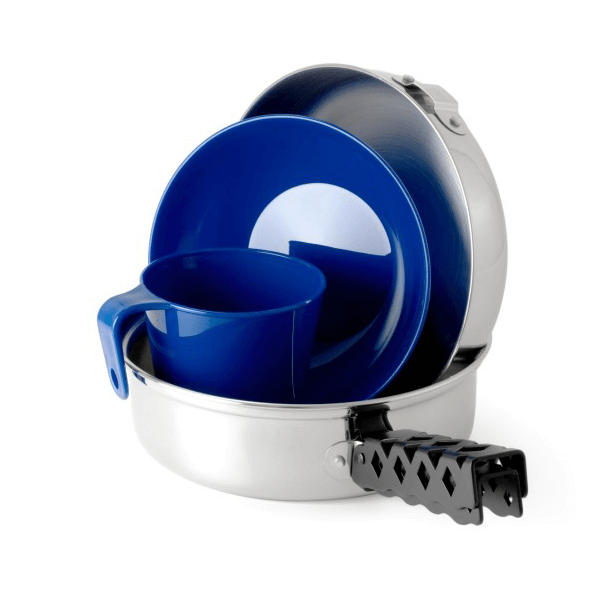 The GSI Outdoors Glacier Stainless Mess kit offers guides, scouts, and campers a lightweight yet rugged mess kit that will stand up to years of use over camp stoves, coals, or open flames. 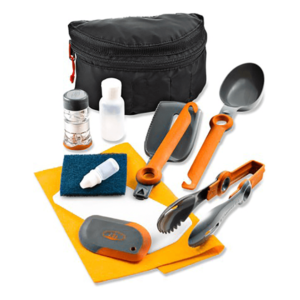 The compact nesting design packs small and travels easily, standing up to any abuse your pack can dish out. 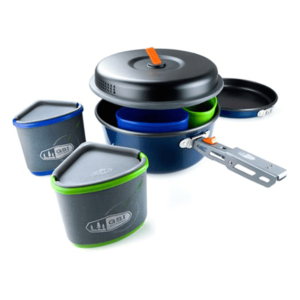 The set includes a one-quart cooking pot and dual-use 7.5-inch lid that doubles as a frying pan. Both are crafted from sturdy 18/8 Glacier stainless steel that heats evenly and won’t impart off flavors to your food, with double-rolled rims for increased stiffness and durability. 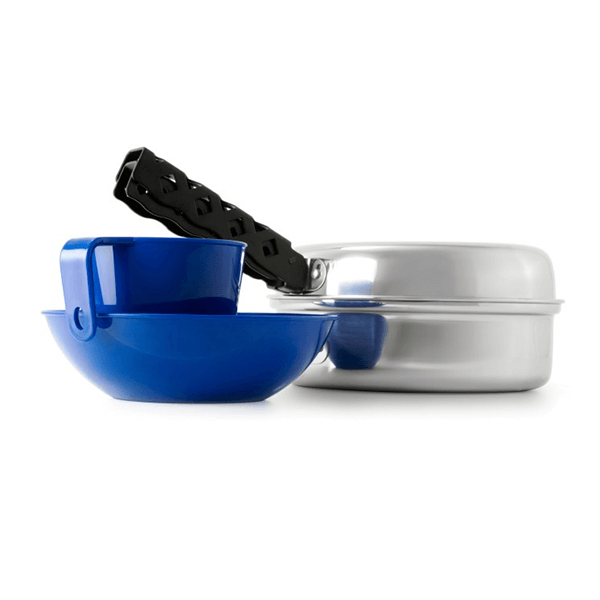 The included bowl and cup are made from lightweight Cascadian polypropylene. 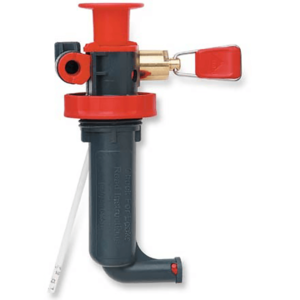 Exclusive DiamondBack Gripper attaches securely to exterior brackets while preserving both interior and exterior pot finishes. All pieces nest together and store in the included mesh bag. 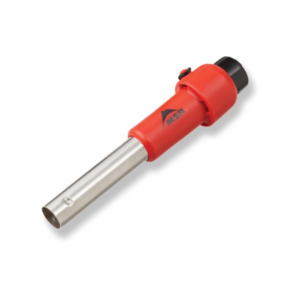 SKU: GSI68120 Category: Cookware and Stoves Brands: GSI Outdoors. Lightweight, nesting design with a dual-use fry pan/lid, cup and bowl packs small, travels easily and withstands any abuse. Double-rolled rims offer increased stiffness and durability.